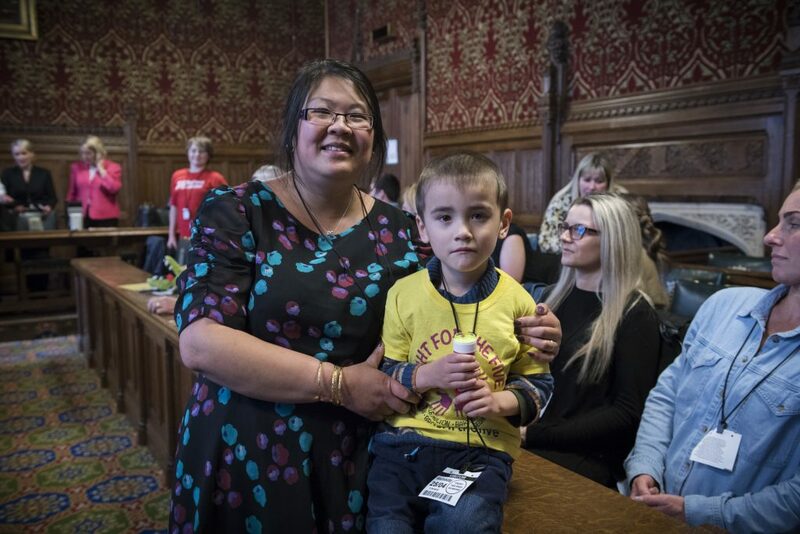 Ryan, Daniel, Jacob, Sophia and Zach were probably some of the youngest campaigners at the Houses of Parliament last week. 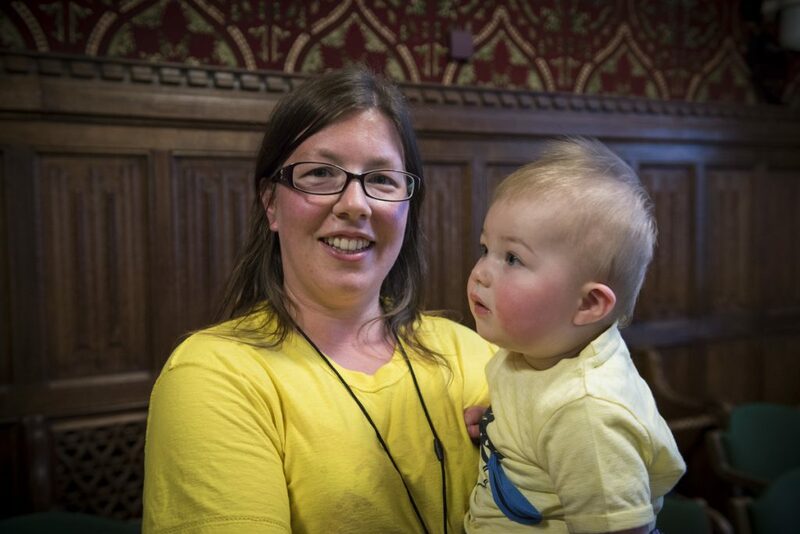 They were there (with their mums) to talk to MPs about keeping their nurseries open. 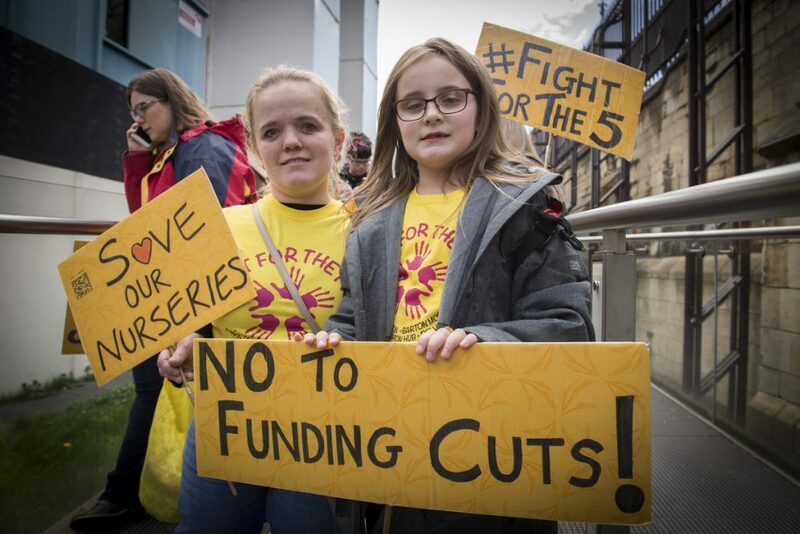 They were there because five council-run nurseries in Salford could be closed down. Two months ago the parents had received a letter saying the council would be consulting on the future of the nurseries, even though all five are rated outstanding by Ofsted. So, why is the council considering closing the nurseries? 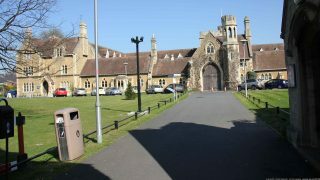 Along with fees paid by parents, nurseries are funded by councils, using a grant from central government. 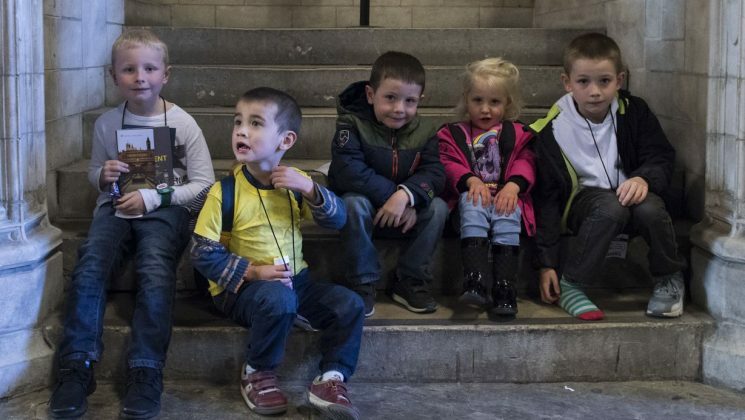 Up until recently councils have been able to decide how much funding they give to each nursery provider, but the government recently changed the rules to mean that councils no longer have that discretion. The problem is, nurseries that are maintained by local councils tend to cost more to run than private nurseries. There are good reasons for this – they are usually in places with high deprivation, where parents are less likely to be able to afford to pay, and because as public sector organisations the staff have better conditions such as pensions, sick pay, and annual leave pay, which all adds up. After the shocking announcement on the nurseries future, parents and UNISON members moved quickly, setting up a campaigning group that organised meetings and a march through Salford. They managed to get the council, who have been sympathetic to the cause, to commit to funding the nurseries until 2019, but still want the reassurance that their beloved nurseries won’t close at all. For Zoe’s daughter Alice, 7, the best thing about the nursery was “the way they treated us, they were nice”. 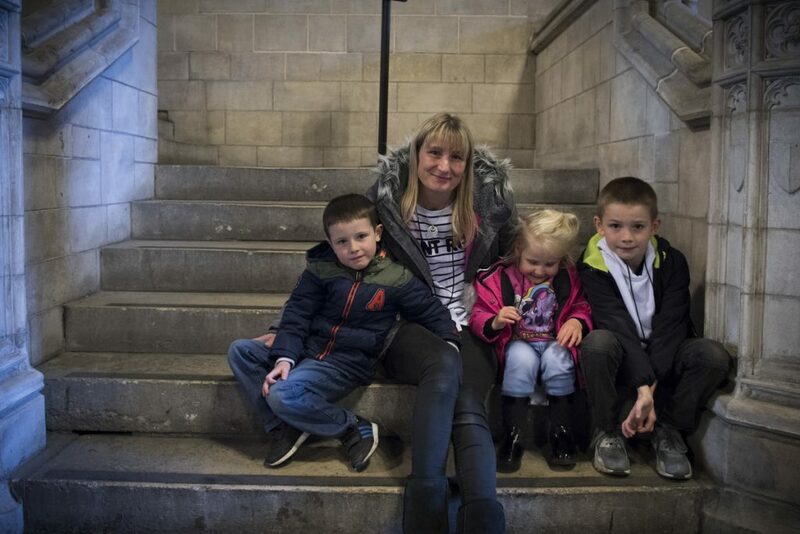 Once the group had arrived at Parliament and filed through security, they were joined in a grand room by several MPs, including Rebecca Long-Bailey, the MP for Salford and Eccles, who has been supporting the campaign to keep the nurseries open. Also in attendance were UNISON’s former President and now MP Eleanor Smith, Tracy Brabin MP who is Shadow Minister for Early Years (and previously of Coronation Street fame), Andrew Gwynne who is Shadow Secretary of State for Housing, Communities, and Local Government, and Paul Dennet, the Mayor of Salford. 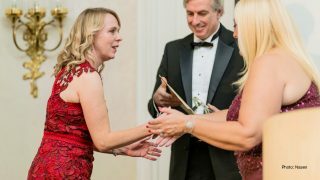 One of the parents to address the room was Holly Swindles, who held a wriggling ten-month old called Jake as she spoke. Holly explained that if Jake’s nursery closed she would have to consider giving up her career, a sentiment echoed by other mothers. The next nearest nursery to her home costs £18 extra per day, and wasn’t even rated outstanding. She pointed out that the government shouldn’t be de-incentivising work. The difference this has made to Maybo is clear; when she addresses the meeting her voice begins to crack as she talks about how grateful she is to the nursery staff, and it’s clear they’ve had a big impact on her life. Daniel, on the other hand, took the meeting in his stride. It emerged at the meeting that this is not only a problem in Salford. Nurseries are also under threat in Cambridge, Birmingham and Bradford, amongst other places. UNISON believes that the government funding for the early years is inadequate to provide the high-quality services our children deserve. The restrictions that the Department for Education has placed on local authorities through the new early years funding regulations are unfair on maintained nurseries and restrict the ability of authorities to fund high-quality nurseries. Ben Thomas, UNISON’s national officer for education, said: “Nurseries like the outstanding nurseries in Salford with well qualified, high quality staff are what the government should be aspiring to for all nurseries, not destroying them with a penny pinching levelling down of funding rates. 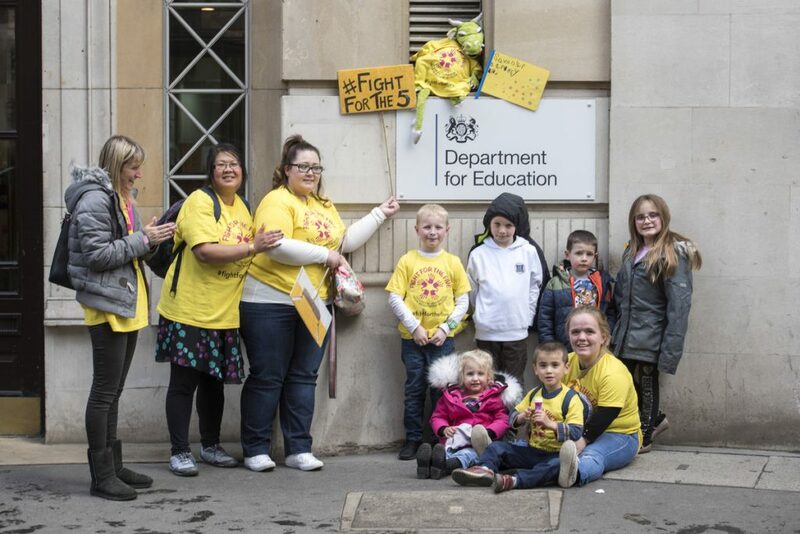 After the meeting, at which MPs committed to supporting the cause in Salford, as well as supporting Sure Start centres and investing in early years, the campaigners headed over to the Department for Education. They had been hoping to talk to one of the ministers responsible for education, but as none had been willing to meet them they protested outside instead. Steve North, branch secretary for Salford City UNISON, was disappointed that the minister for education did not meet with the group, but said they now have a meeting set up for May. “We’re really pleased with how the day went. It was fantastic to get so much support from our union, as well as Shadow Cabinet members like Andrew Gwynne and Tracy Brabin – and our own Salford MPs Rebecca Long Bailey and Barbara Keeley. 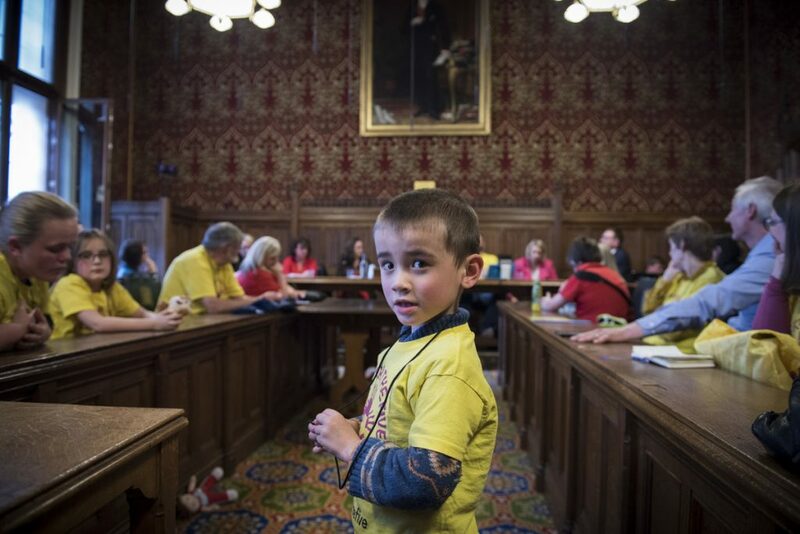 Even after a long and tiring day, the young campaigners enthusiastically joined the lobby to save the nurseries they have clearly benefitted from. The question is, will the future children of Salford get to benefit from them too?